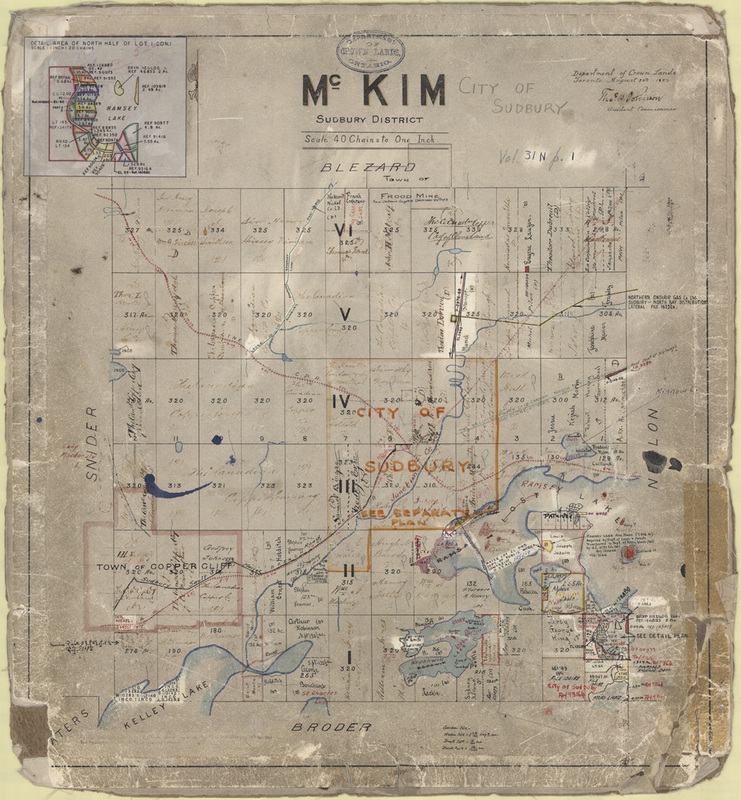 "These maps of McKim Township and Snider Township are "patent plans" ... a series of plans showing the status of Crown lands, whether patented, leased, or under a license of occupation. 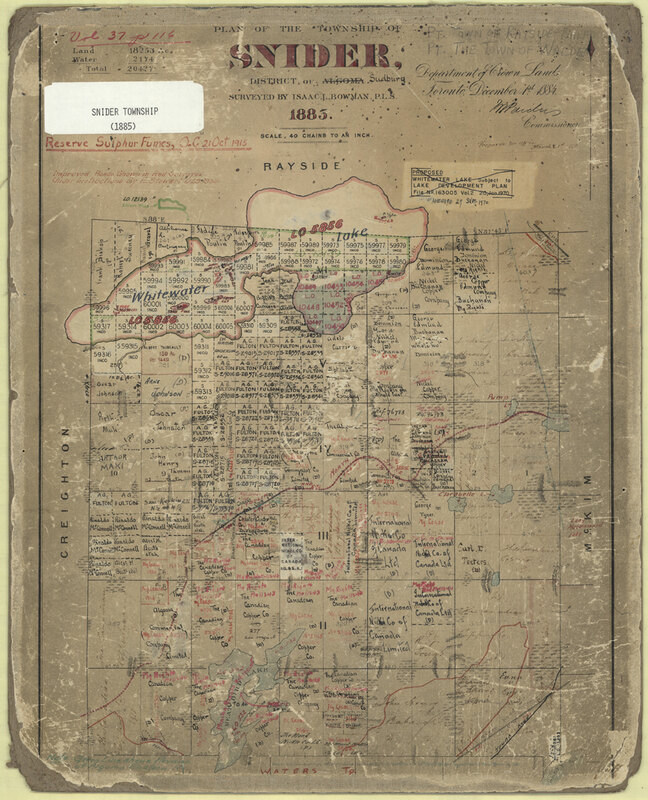 Until the late 1970s, patent plans were used within the Ministry of Natural Resources as a quick reference tool to show the alienation of Crown land. Once this information was computerized, the patent plans became redundant, and they were transferred to the Archives of Ontario." Thanks to the Sudbury Branch OGS Facebook Group for sharing.